Are you searching the Indianapolis IN area for a new Jeep Renegade for sale but are unsure of where to start your search? Come to Acra Auto Group in Greensburg Indiana to find your new Jeep Renegade today! With several to choose from at Acra Auto Group, serving Columbus, Shelbyville and Greensburg buyers, we are sure to have the new Jeep Renegade that you are after. The new Jeep Renegade features 9-speed automatic transmission and a 4-cylinder, 2.4-liter engine with a powerful 180 horsepower. With an impressive gas mileage of 21 miles per gallon in the city and 29 miles per gallon on the highway, not only is the new Jeep Renegade at Acra Auto Group affordable to buy, but it is easy on your wallet at the pump too! Some of the great safety equipment on the new Jeep Renegade for sale are traction control, anti-lock brakes, brake assist, and electronic stability control, just to name a few. We have a new Jeep Renegade Limited at Acra Auto Group in Greensburg IN with key features that include heated leather seats, wireless cell phone hookup, steering wheel controls, and cruise control for those longer drives around the Indianapolis area. We also have a new Jeep Renegade Trailhawk that has a backup camera, fog lights, keyless start, and even a rain sensing windshield. 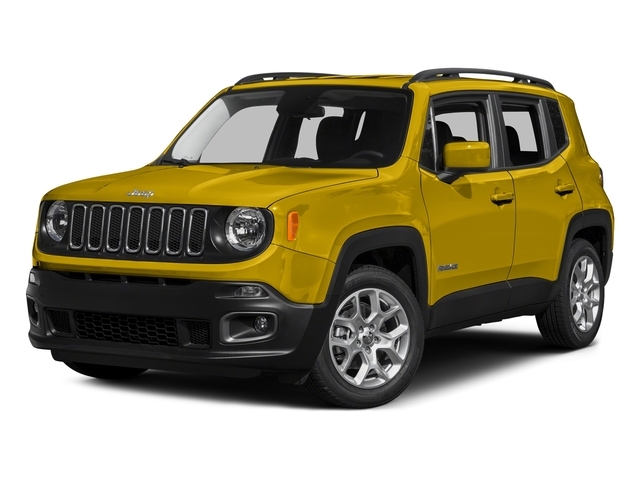 So, when you are in the market for a new Jeep Renegade, call or come into Acra Auto Group at 1407 North Lincoln Street in Greensburg IN today. If a new Jeep Renegade is not what you are after and you are leaning towards used vehicles, you can also check out one of our other Acra Auto Group locations. Acra BuyRite Auto located at 920 N. Michigan Avenue in Greensburg IN, Acra Pre-Owned Superstore at 2820 North National Road in Columbus IN, or the Acra Pre-Owned Superstore at 1200 East State Road 44 in Shelbyville, IN.